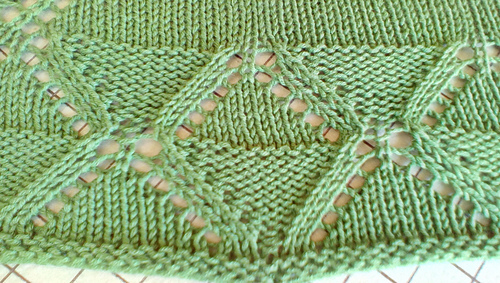 Errata Chart is incorrect on Rows 1 & 2; written words are correct — there should be only one knit stitch immediately to the left of the red outlined repeat, and no stitches outside the repeat on the right side. Perfect for layering on a cool day, wrapping up baby, or using as a nursing cover, this shawl is sure to come in handy for any mom! 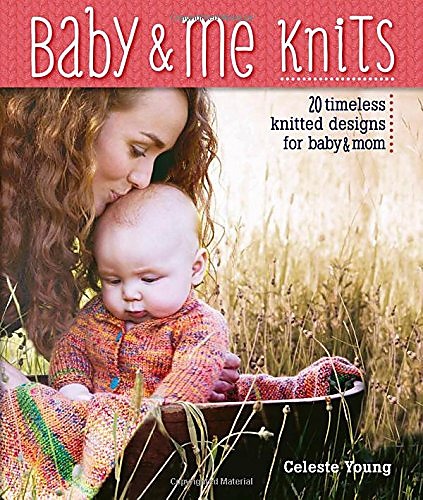 Knit one for yourself or as a sweet, thoughtful gift for an expectant mother. 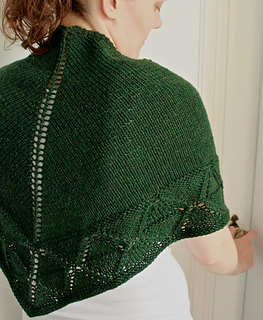 The stockinette body is quick to knit while the lace patterned edge provides a touch of elegance. Pattern is charted and written out. Yarn: Cascade 220 Superwash (100% Superwash Wool; 220 yd 200 m/100 g): #1918 Shire, 2 (3) skeins.